“Why GXG won over both LVMH and Alibaba” This title introduces a long article published on the Chinese information website specialized in fashion and shoes business www.cnxz.cn (中国鞋网). The article is interested in the Ningo-based men’s street fashion brand, GXG, which only began to make speak about it in the Western press last March. Bloomberg announced its listing on the Hong Kong Stock Exchange, confirmed six months later. In 2017, GXG entered into a strategic partnership with Tmall, Alibaba Group’s e-commence platform. Interestingly enough, the deal does not cover the brand’s e-commerce but its physical stores. 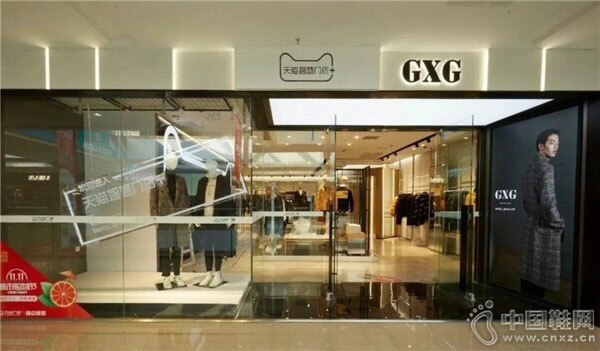 « In response to pressures from the global retail market recession and changing consumer groups, the previously low-key GXG brand has been thinking out of the box by developing a new retail strategy », the article continues. The two partners opened on Nov. 4 in Nanjing a first smart store (photo above, source 中国鞋网). 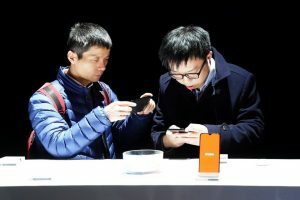 « Unlike many new stores that are more a brand statement than actual sales generators, GXG and Tmall’s smart stores revolve around consumer behavior itself, with the aim of increasing physical sales through the use of more accurate data », details the article. The Nanjing store breaks down the consumer experience into six scenes, trying to increase the convenience and intelligence of buying at every step of the way. Smart devices such as interactive game screens, adjustment mirrors, RFID sensors are installed in each scene. Facial recognition according to gender and age of the client and targeted orientation in the store are also set up. Before the smart stores collaboration, GXG and Tmall already knew each other: GXG opened a store on Tmall in 2010 and broke records at the Singles’ Days to the point of being the champion brand of men’s ready-to-wear on November 11, 2016. In the same year, L Catterton Asia, the private equity firm backed by LVMH group, acquired a majority stake in the company.